It’s been a while since I’ve done a Sketchbook preview post. I thought I might actually get around to doing it. I used an old red woolen shawl as a background, but I think it was not the best choice. Still, here they are. So, one of the requests I got during my New Year poll was for a child paper doll. 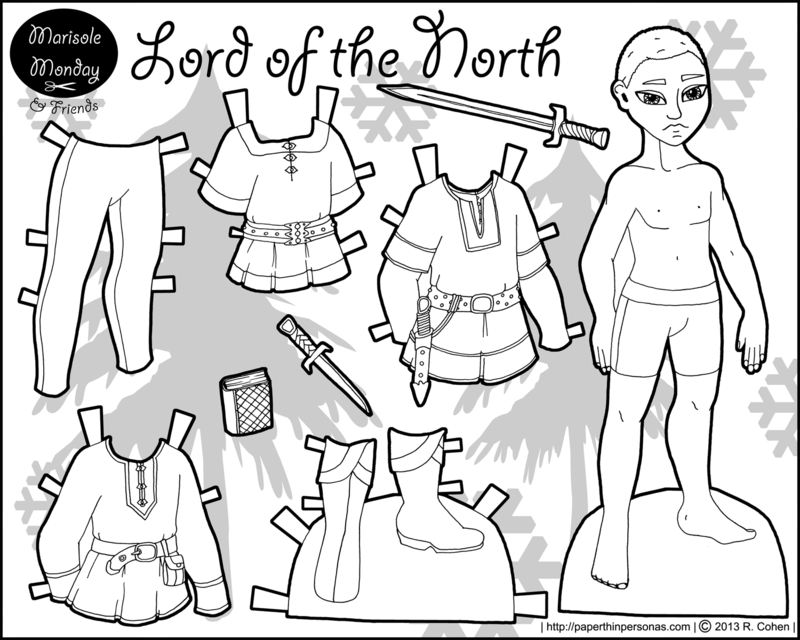 I have really no real interest in drawing children, but I do like drawing paper dolls based on dolls, so this is as close as I am likely to get to drawing a paper doll of a child. 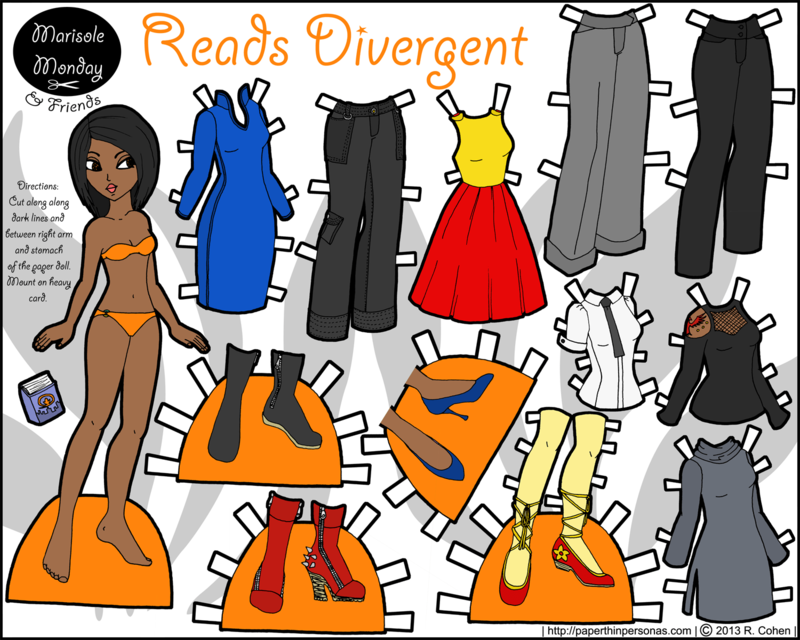 Some clothing for the paper doll above. I haven’t really figured out if it’s going to be a stand alone piece or something more serial or even when it will be done, but here some of it is. I recently stopped my current curvy set, and I rather liked the idea of the curves. This new curvy doll is here. I don’t know if she’s going to be a series or what. But I rather love her hair. A bit of sci-fi cyberpunk clothing here. 🙂 A theme I rather often use, I must confess. First of all, your comment is not rude at all Elizabeth. I’m more then happy to respond to this and I’m happy to take constructive criticism. 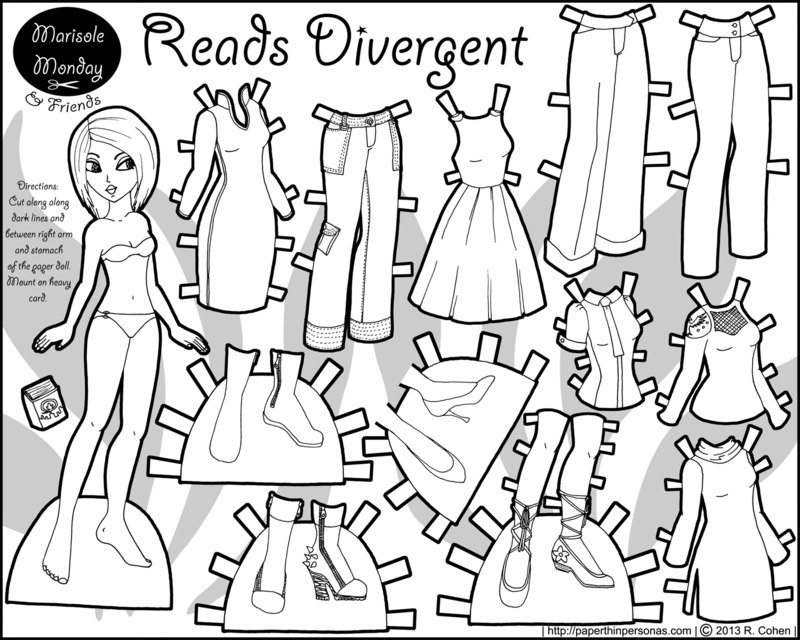 I have a lot of paper dolls with very long hair and it’s true that I have never indicated where I expect people will need to cut in order to make the clothing wearable. I always thought it would be obvious that you had to cut along the shoulders and the sides of the paper dolls body to allow for the tabs to fit, but perhaps this is not as obvious as I always thought it was. 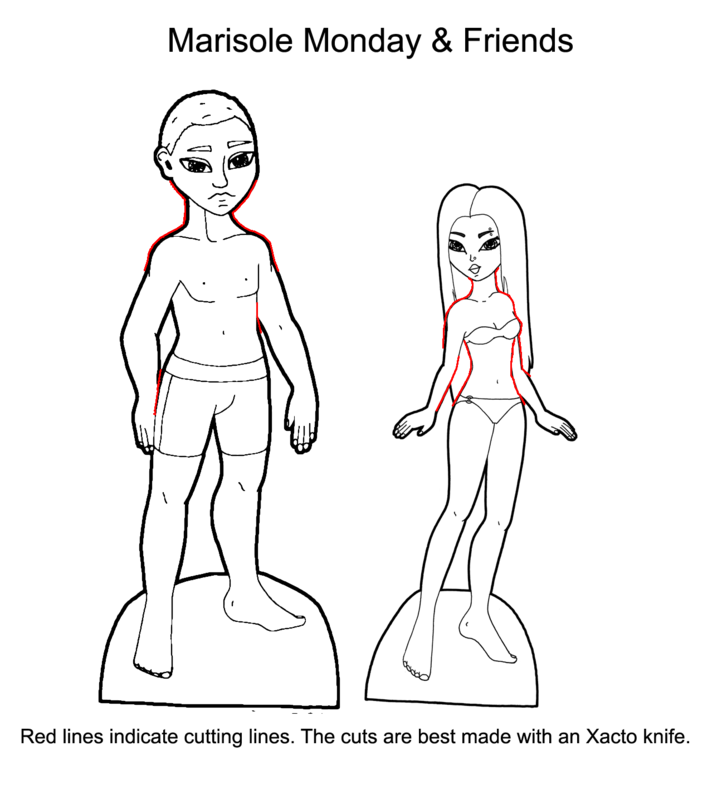 So, I have done some rather quick and dirty diagrams here of where you may need to cut in order to allow long haired paper dolls to wear the clothing. Hope this helps. As I say fairly regularly, questions are always appreciated and I try to answer all the questions that I can.